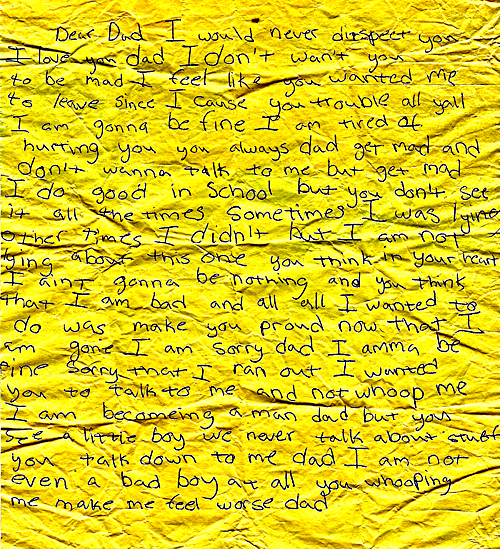 We found this hand-written note to a dad blowing in the wind in the middle of a frisbee golf course. Oh my. So tragic, in such a color. This note made me cry…from such a sweet young man. I hope he’s OK.